In episode 163, you passingly refer to the early history of Poland when you discuss Magyars’ western outlook, “one that was mirrored in the kingdom of Poland that began its Christian existence in 1025.” (i.e. adopting the western rather than the Byzantine branch of Christianity). One clarification is due here, as this statement is not fully accurate. The first Polish king, Bolesław I the Brave, was indeed crowned in 1025. However, the country was baptised (in the Western rite with German and Bohemian clergy invited) by Boleslaw’s father, price Mieszko I, back in 966, a year before the young Boleslaw was brought to this world by princess Dobrawa of Bohemia. I realise that the process of Christianisation took a while, but it can be argued that “the Christian existence” of Poland commenced back in 966, even though the title of ‘rex’ was only granted to Boleslaw as a crowning (also literal) of his eventful and energetic life in 1025, partly in recognition of his Christianisation efforts in Prussia. By 1000, the country had four bishoprics (Gniezno, Cracow, Kolberg and Breslau). Otherwise, thank you for your truly remarkable podcasts that I have been thrilled by (constantly) for more than two years now. I think the Byzantine legacy has been overlooked for far too long. 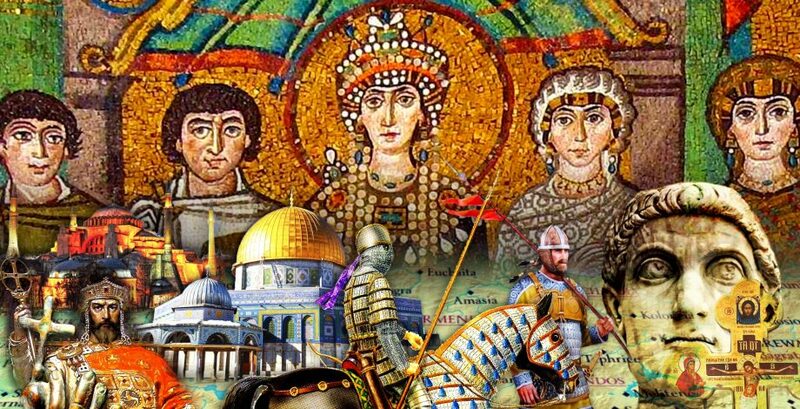 Really looking forward to the sad but not less captivating period of Byzantium’s decline and alas! unsuccessful attempts to save it, including by the Jagiellonian King Wladyslaw of Varna. Kind of dreading the next 400 years. It will be sad to watch the declining years.